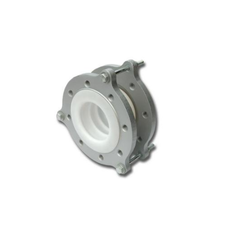 Our range of products include bellow expansion joint. Our company has mastered the art in offering Bellow Expansion Joint to the clients. Bellow Expansion Joint is massively desired for owning remarkable attributes such as flexibility and improves thermal stability. This product designed by using quality assured material and advanced technology with help of expert professional at the well-developed manufacturing unit. Offered range can be modified according to the needs of the clients. Offered range is exceedingly reckoned among clients due to best quality, high strength and excelled finish.